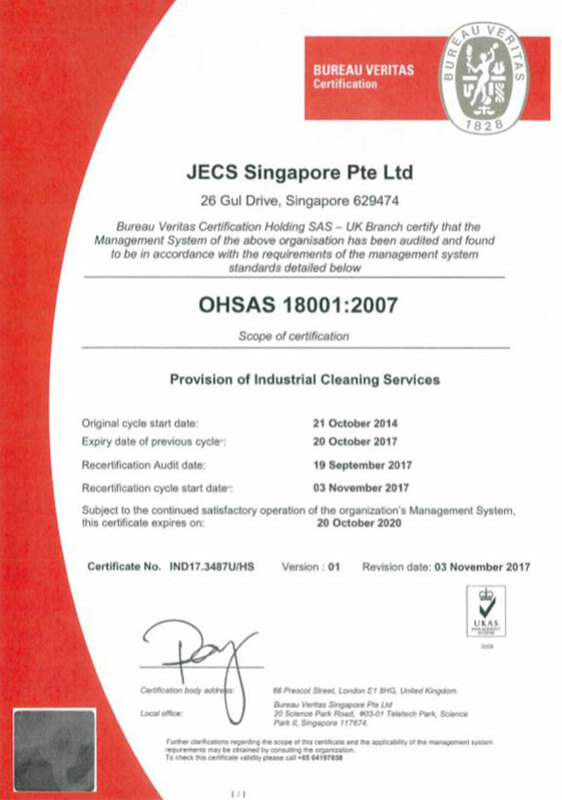 JECS Singapore Pte Ltd (JECS) which stands for Japan Engineering Chemical Cleaning Services, was established on 19 August 1978 as an Industrial Cleaning Specialist. 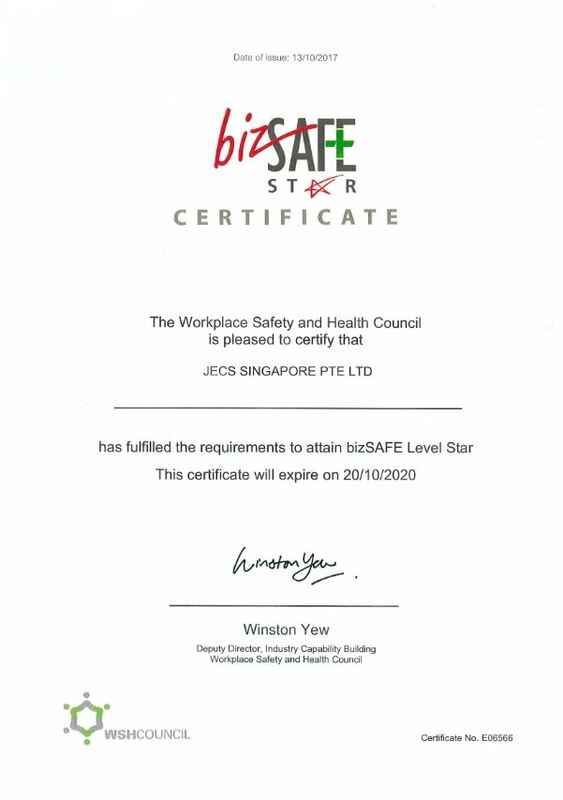 Formerly known as Kinki Industry Pte Ltd owned by a group of ambitious and experienced Japanese businessmen, they were eager to set up a new venture in Asia that targets at niche segment using their deep expertise in chemical and technology brought down from Japan. 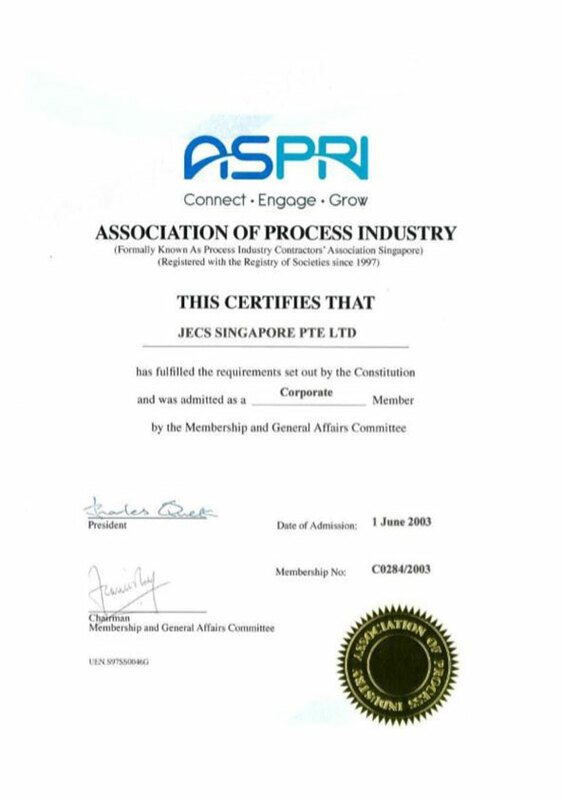 During our 15th Sparkling Anniversary in 1993, we commemorate this auspicious moment by having our company name changed to JECS Singapore (Pte) Ltd, with the sole purpose to synchronize our business unit over the region using the same name. 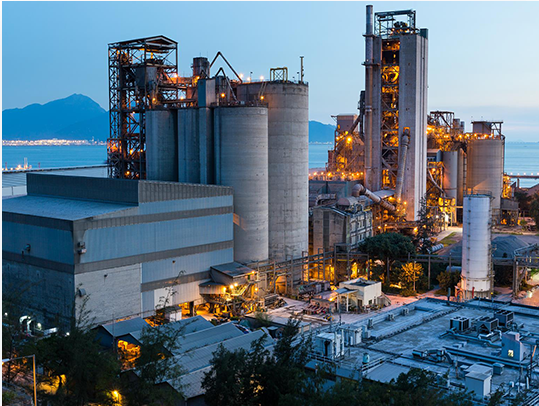 Since our inception, we have gained 40 years of rich experience, made numerous successful chemical and technical improvements and extensive efforts to introduce advanced technology. 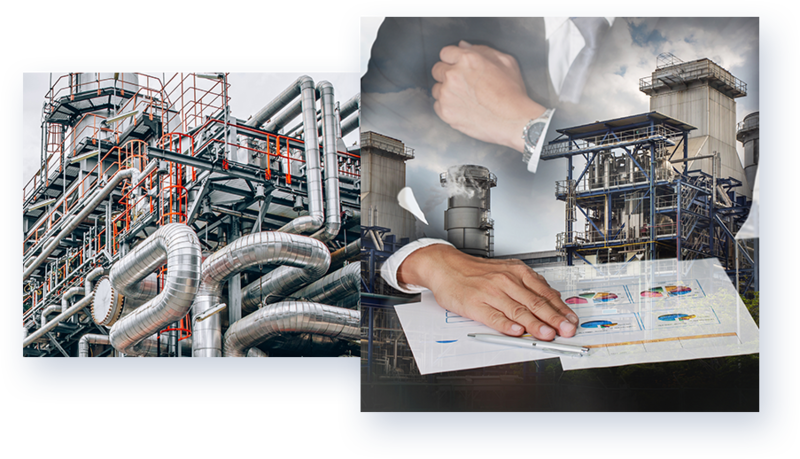 Our professional industrial cleaning specialists have made substantial efforts in the fields of chemical and mechanical cleaning services, registering superb services, and winning continual recognition among the customers in extensive fields for 40 years. 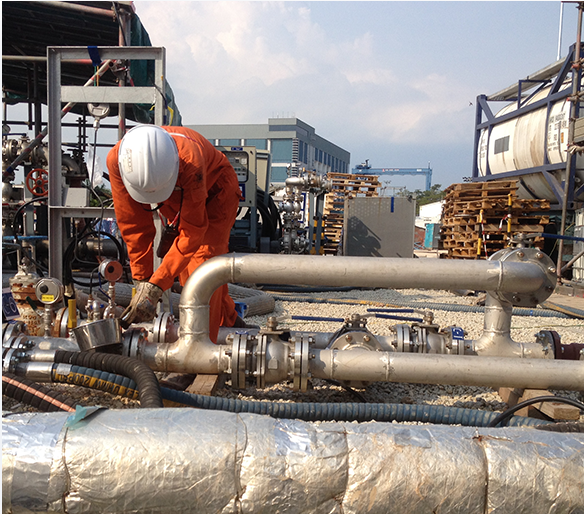 We have been providing our customers with unparalleled expertise in chemical and mechanical cleaning. Each work is distinctively engineered and executed to meet our client’s cleaning requirements. We strive to deliver the highest quality of cleaning services at a competitive cost to our valued customers. 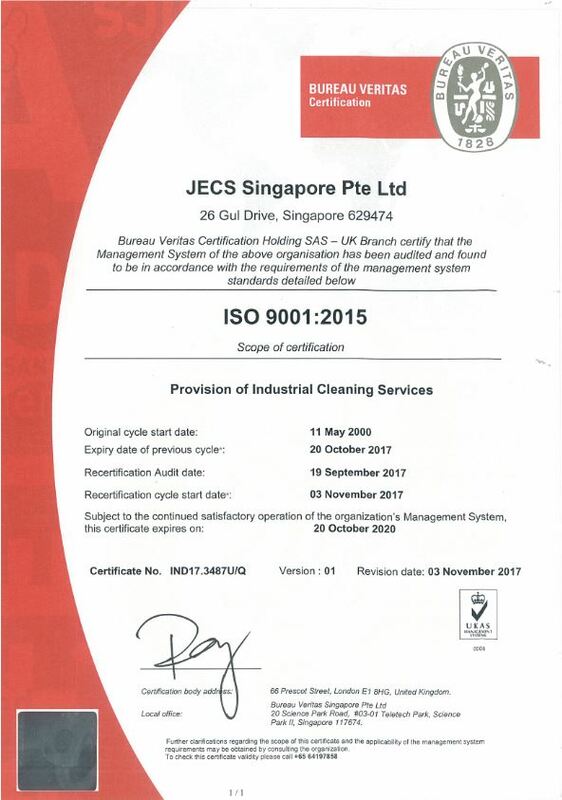 We are always contributing to industrial and national prosperity via the provision of world-class industrial cleaning services and other related services.